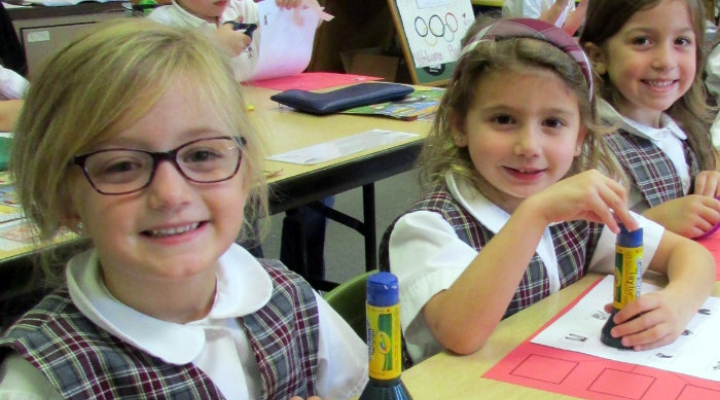 St. Joseph School educates children PreK-4 through eighth grade in the Catholic Tradition. Our mission is to provide a positive learning environment in which every child is challenged to develop his/her full potential: academically, spiritually, and morally. Catholic values should be incorporated into all curriculum areas and school activities. Each child is unique with different learning styles. Children need to be nurtured intellectually, spiritually, physically, and socially. Christian values taught in school and at home enhance a child's self-identity. The parent is the primary teacher and a valued member of the school community. Communication and mutual support between home and school are vital to student success. Self-respect, personal dignity and a safe and positive learning environment are necessary in order for every student to reach their full potential. Acquisition of critical thinking skills formulates independent thinkers. Positive educational experiences increase a child's desire to become a life long learner. Education is imperative in preparing the child to be a productive member of society. Changing needs of students are met by a continuously evaluated curriculum. A variety of evaluative methods provide a fair assessment of learning.